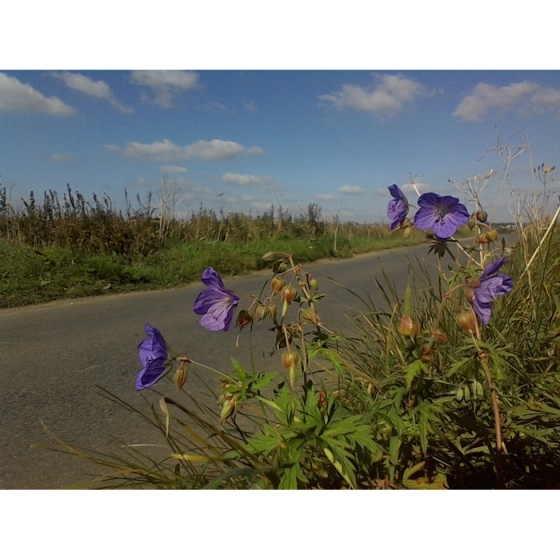 MEADOW CRANESBILL plugs (geranium pratense) from Wildflowers UK. Meadow Crane’s bill- Geranium pratense is one of the most showy of all wild meadow plants. The large purple blue-flowers appear between July and August. 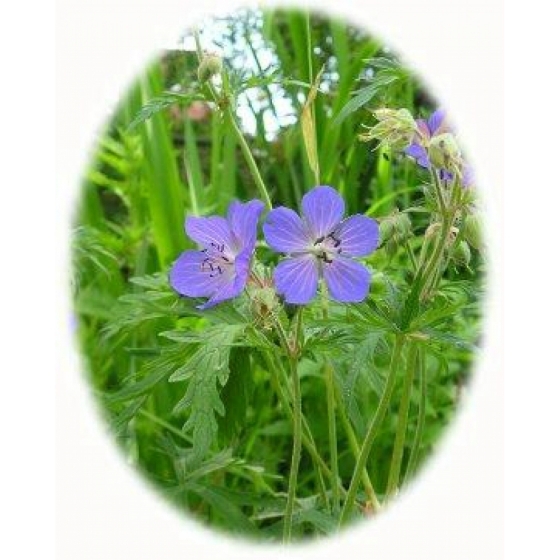 Meadow Cranesbill is a great general-purpose plant, that grows best on light chalk or limestone but will also tolerate a wide variety of other soils in full sun or semi- shade. Meadow Cranesbill seeds are contained in capsules that explode once ripe, sending the seeds a good distance, so it will establish and spread readily. Meadow Cranesbill is particularly well suited to cottage gardens. 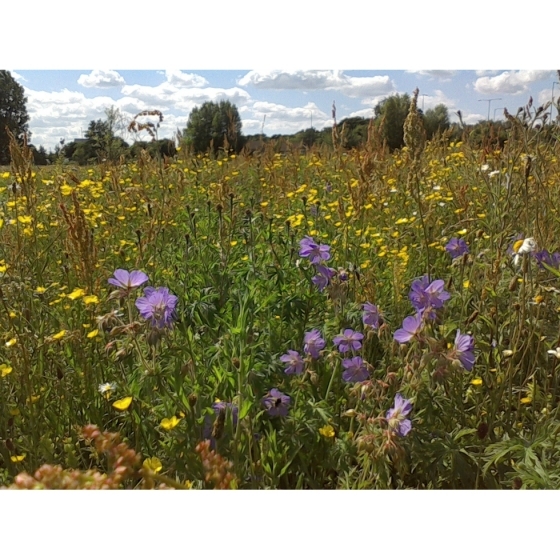 Meadow Cranesbill plants look best grown alongside other summer flowering wildflowers such as Oxeye daisy, Black Knapweed, Greater Knapweed, Small Scabious, and Field Scabious and Birdsfoot trefoil. 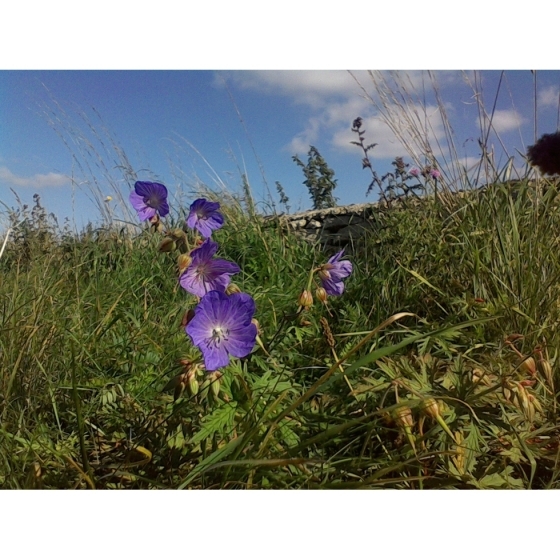 Meadow Cranesbill plants can be introduced to their permanent planting positions from late spring through to October. Initially they should be kept well watered, and left to develop for several months. When planting into established grass it is advisable to first cut the areas where the wildflower plants are to be introduced and create a small bare area up to several inches around each planting position which will reduce initial competition. The foliage will die back and disappear in autumn but quickly reappear the following spring. Given the right conditions Meadow Cranesbill will develop quickly into flowering sized plants. A few Yellow rattle seeds sown around each plug may also be of benefit in the long term by reducing competition from grasses.